Do you have an enthusiasm for mission-focused rural ministry? Do you want to see the church making a real difference in an area of distinct social need? Do you have a heart for the nurturing of lay vocations and proven skills in Adult Education? Are you a comfortable with both traditional and more informal worship? Are you a good at communicating with all ages and backgrounds? 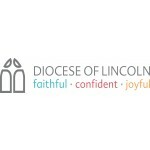 If so, would you consider becoming the incumbent of two distinct communities that lie on the Lincolnshire/Cambridgeshire/Norfolk border and combining this with the (one day a week) newly created role of Deanery Lay Training Officer? This post would suit a priest who wants to embed themselves in a very ‘real’ parish but who, might be looking in the future, to develop a role as a lay training adviser or vocations officer. We invite applications from priests with an enthusiasm for rural ministry, who want to see the church making a real difference in an area of distinct social need, and who have a heart for the nurturing of lay vocations and proven skills in Adult Education. Communicate well with people of all ages and backgrounds. Make themselves known in the community. Lead, enable and encourage us to develop a vision for our future. Encourage people to be actively involved in church life. Discern and develop the gifts of our lay people for active roles in the life of our churches. Value the diversity in our congregations . Respond to the particular needs of our communities and understand the different needs of the two parishes. Enjoy working with disadvantaged communities. Enjoy a variety of worship - traditional, modern and informal. An enthusiasm for identifying, supporting and encouraging lay people in their ministry. A willing bunch of lay people who enthusiastically organise regular activities and events. Congregations who value tradition and a regular Eucharist but are open to new initiatives. Many gifts which need to be encouraged and developed. Church buildings which are open every day. Healthy church finances and a willingness to pay our parish share in full. A willingness to ‘soldier on’. An understanding of the need to consider new initiatives. Full administrative support at a deanery level.